We love someeards. In fact, we have done some spin off projects, inspired by these cards, appreciating their ability to be both hilarious, snarky and viral. These shareable snippets have surpassed the viral stage and are now a category of joke, like the knock-knock or the groaner. In fact, the format has been used to create all kinds of memes. 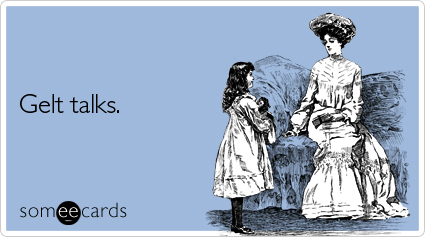 Some would argue that someecards alone is a meme! What you can’t argue about is that they sure are popular. The site itself receives over 30 million page views each month (Quantcast). For a free e-card sending website, that’s pretty good! There has to be a business lesson in this, right? 1. Simple – Everything from the two-colour design to the sparse wording is simple. 2. Consistent – For the most part, the tone, artwork, and format stays consistent. 3. Current – Anything from a high profile news story to a celebrity tweet has a someecard commenting on it. 1. 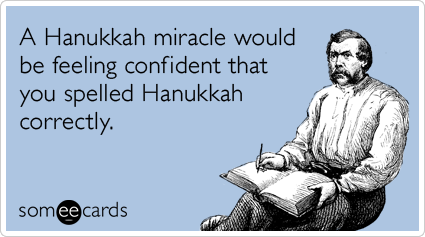 A Hanukkah miracle would be feeling confident that you spelled Hanukkah correctly. 2. 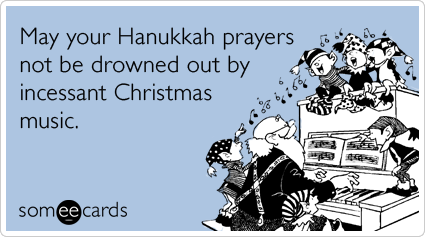 May your Hanukkah prayers not be drowned out by incessant Christmas music.